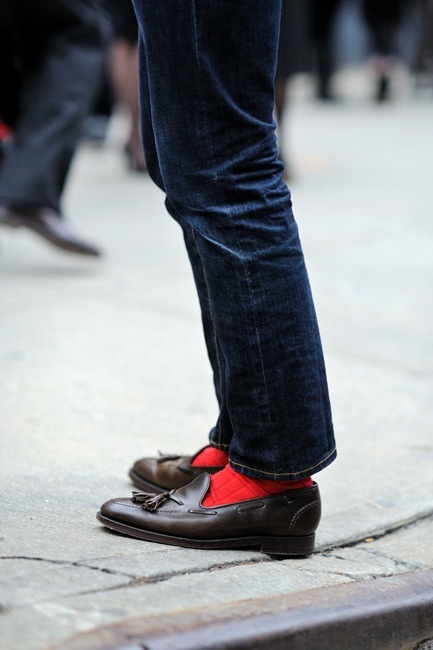 In our last blog post, we explored the emerging trend of donning loafers, brogues and other footwear styles sans socks. Today, let’s touch upon the other alternative, opting for ankle skimming pants or rolling pants to showcase your socks. 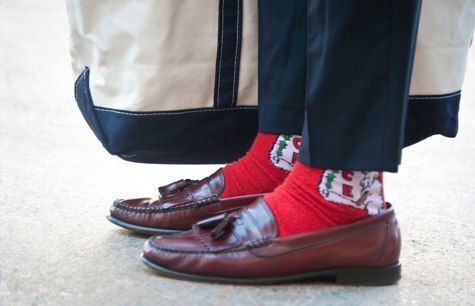 Ryan Gosling, adding flare to his navy suit and black loafers with red socks. Demonstrating the roll, with polka dot socks on show. However, Christmas socks? Let’s leave those for the home! 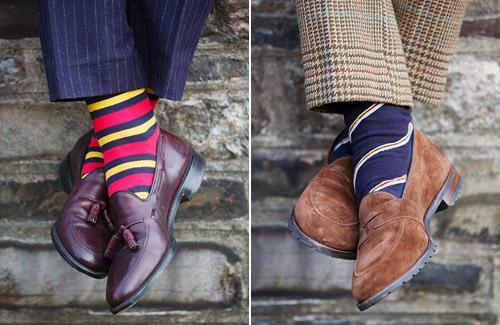 If you’re going to showcase your socks, opt for classic styles like these! 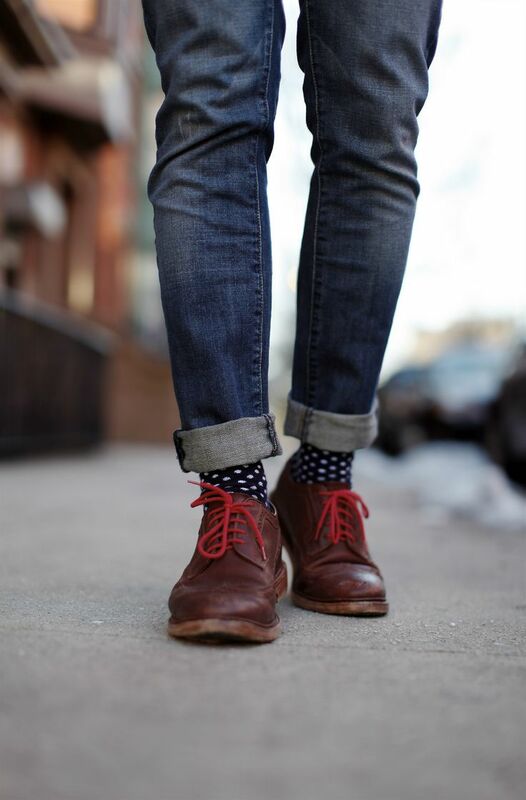 Posted in Style The Finest and tagged shoes with socks, the roll. Bookmark the permalink.